As a Senior Java Developer based in Hamburg, you will be part of a Scrum team working on a microservice-based architecture for our new e-commerce platform. You utilise your deep knowledge of software architecture to master our complex design challenges. You will be developing modules in Java, implementing features, testing and bug fixing. It is essential that you communicate design rationales and build consensus around these decisions. You ensure that our software is delivered on time and meets our expected standards; primarily: optimal performance, scalability, modularity and high security are paramount to our goals. We use technologies such as Java8, Kotlin, Spring Boot, Google Cloud Platform, Kubernetes, Docker, RabbitMQ, Elasticsearch, MySQL, CircleCI and Jenkins. Is this the job you are looking for? Then just click here to apply online. In addition, we would like to get an impression of you in action. You can show us what you've achieved through GitHub, own website, or live portfolio. If you have any questions, just send an email to Serena Tansil via hr@epages.com or call +49 40 350 188 0.
ePages, www.epages.com, is a leading provider of online shop software and the largest independent provider in Europe based on license revenue. ePages aims to be the white label expert brand of choice for e-commerce in the service provider space. Currently, over 140,000 companies in 75 countries and 15 languages run online shops based on ePages. ePages specializes in servicing the SMB sector via web hosting providers, as well as ERP-vendors, telecommunications, and logistics companies. Among the partners are Europe’s top hosting companies such as 1&1, Strato, Host Europe, Arsys, Dada Group and Aruba. 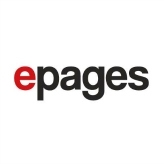 Want to get notified about new jobs at ePages GmbH?